Zensible Mama: Disneyworld's New Fantasyland: New Attractions Will Make You Go Gaga with Delight! 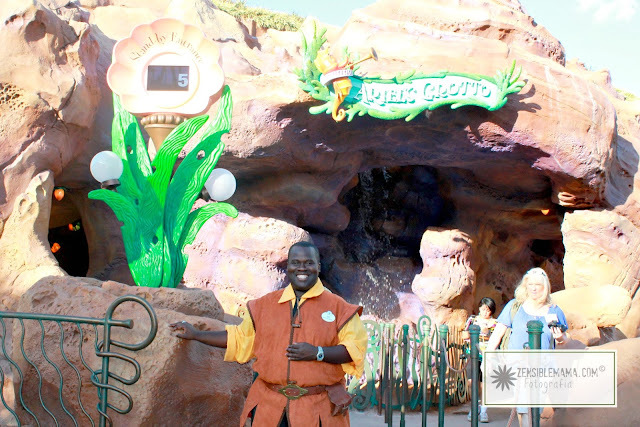 Disneyworld's New Fantasyland: New Attractions Will Make You Go Gaga with Delight! Disney has done it again! Creating new attractions that fans not only will love but go total gaga over! Yes, gaga. 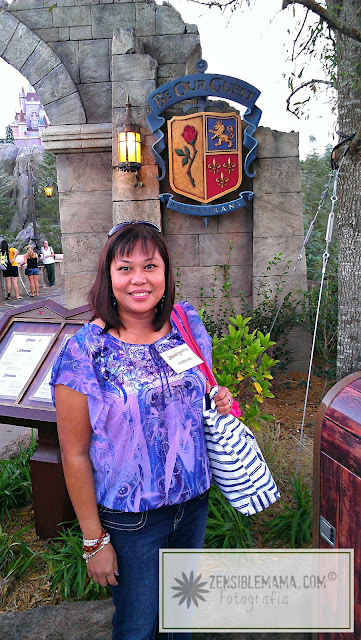 Let's just say, I had, ahem, the case of gaga-ness myself when I saw and experience all the cool attractions that was ready to open at the New Fantasyland located inside Magic Kingdom before it opened to the public! 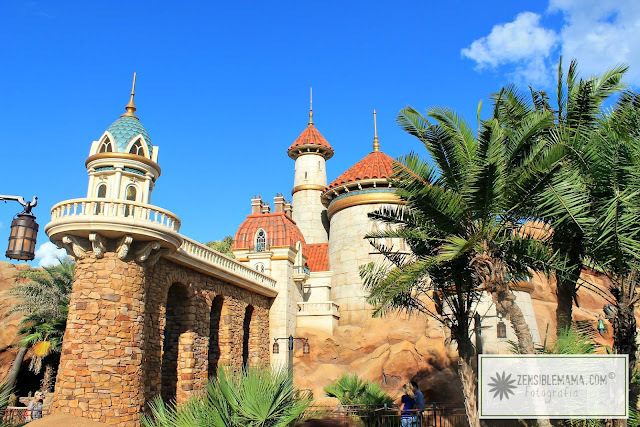 I was also privileged to take part in a once in a lifetime historical moment at Prince Eric's Castle at Under the Sea - Journey of the Little Mermaid, where you'll also experience an enchanting ride! "Now you see, why I went gaga?!" 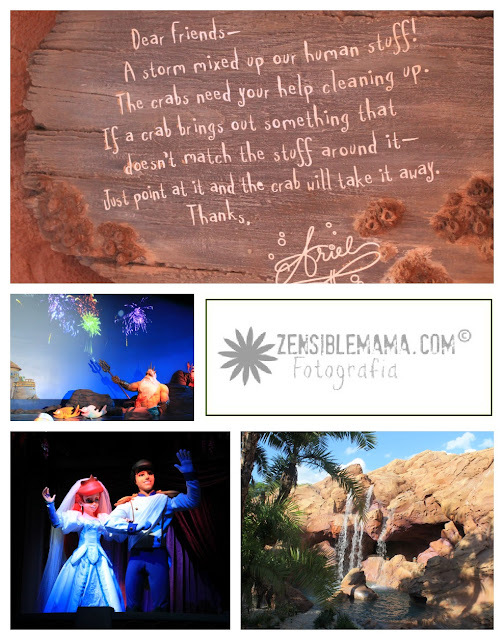 Our exciting preview journey was confined within the Enchanted Forest; home to Little Mermaid and Beauty and the Beast. Inside the castle, we boarded a giant clamshell and enjoyed a musical retelling of Ariel and Eric's love story. It's a feast for the eyes and so breath-taking. Kids who love Ariel will LOVE this ride! Next stop was Ariel's Grotto. Entrance and Exit to Ariel's Grotto - Thanks Joe! "Is it OK to squeal and feel like a little girl again?" I think most of us did. 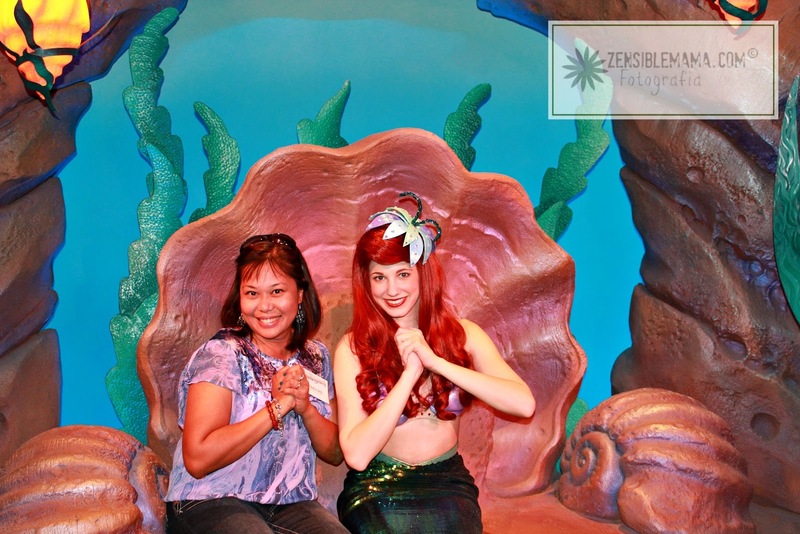 What a sweet treat to enter Ariel's Grotto and find her in a blinged-out cove awaiting her guests to join her for some photo op and let them pose their heart away with her, like how I did. "Sorry Ariel. I just have to copy you because you're soooo cute and I want to be like YOU!" Oh, without the tail thank you. 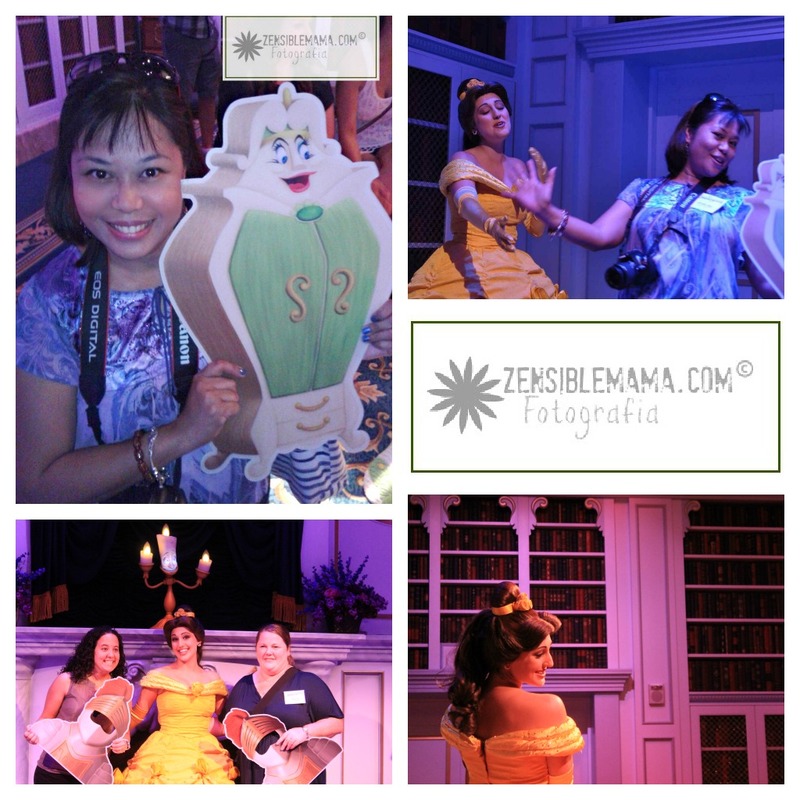 Then we hopped over to Maurice's Shop for an Enchanted Tales with Belle! An audience-interactive presentation where I was chosen to play the Enchanted closet and had to belt out a high soprano pitch as part of my role! "Oh man! It's like going back to my old life on stage!" Take a little peek at the FUN I've had. Oh watch out for the video peek. You'll LUV it! Me, @MaricrisG as the Enchanted closet and @StacieinAtlanta as one of the guards. Then onto dinner at Be Our Guest Restaurant inside Beast's Castle! "I can eat like a beast there and no one would mind!" The food were great and service superb, best of all, no one can beat eating in a restaurant that makes you feel like you were right inside the story itself! Amazing won't begin to describe it. But this is for another story and it's worth the wait! Promise. As for you, get ready to plan your visit! All these attractions will officially open Dec 6, 2012! 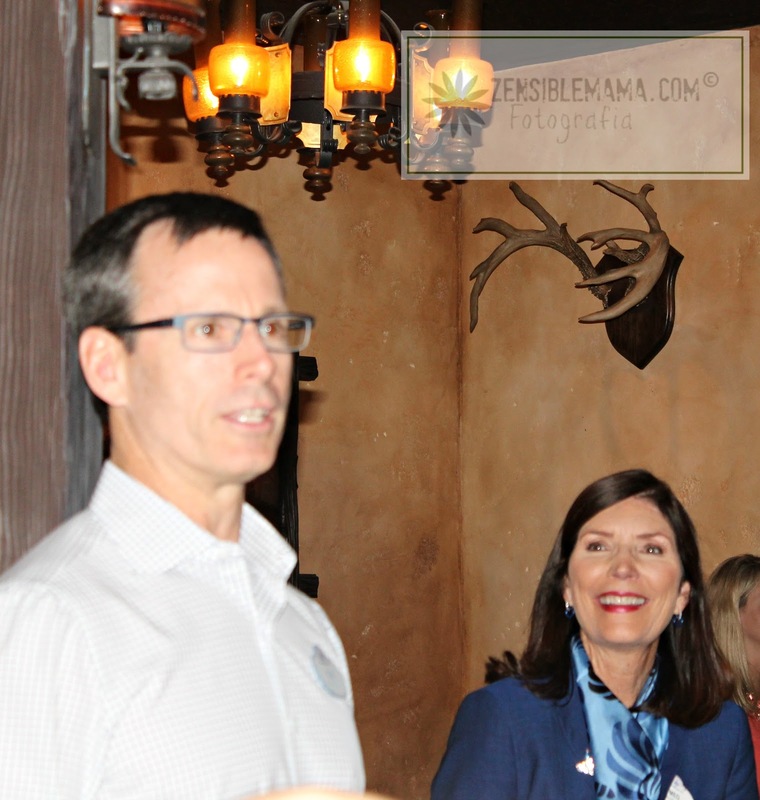 HUGE THANKS to Thomas Staggs, Chairman of Walt Disney Parks and Resorts, Worldwide, who is the brilliant man behind the innovative implementation of New Fantasyland; for his kindness and generosity in extending this awesome invite to me to preview the exciting expansion of Disneyworld and to Meg Crofton, Walt Disney Parks and Resorts Operations, United States and France who also joined in on the fun during their surprise appearance at Gaston's Tavern as we await our next destination! 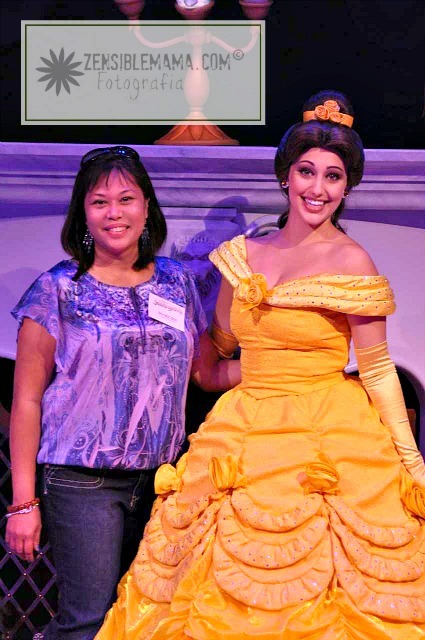 It's not always that one gets to "hang out" with top Disney executives. What an HONOR and definitely an OH.EM.GEE moment for me! I may have also been a bit star-struck. It can't be helped. Mr. Staggs is so personable and charming! ++Disney covered my travel and accommodations to attend this by-invite-only media event. All opinions are mine.